Tumor lysis syndrome (TLS) is a life-threatening complication of hematologic malignancies and some solid tumors. This syndrome occurs after tumor cells break down spontaneously or after exposure to radiation or chemotherapy. Lysis of tumor cells will release intracellular contents into the bloodstream, leading to hyperuricemia, hyperkalemia, hyperphosphatemia, and hypocalcemia. The use of a closed-system transfer device (CSTD) has been accepted as a standard of practice to minimize exposure to harmful materials when compounding hazardous medications. Several reports indicate that CSTDs also preserve the sterility of unpreserved (ie, single-use) medication vials for up to 1 week. Taking advantage of prolonged sterility of nonpreserved vials with an appropriate CSTD attached offers the possibility of significant cost-savings through reduced drug waste. 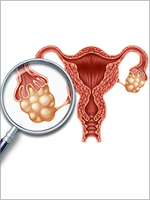 Ovarian cancer is the leading cause of death among gynecologic tumors. 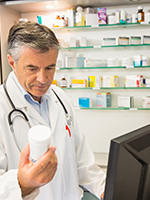 Pharmacists play a vital role in ensuring the safe administration of medications. Ákos Juhász, PharmD, and colleagues suggest that the use of a closed-system drug-transfer device would reduce the high levels of contamination found in hospital pharmacies. 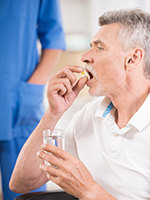 In their study, Mark L. Zangardi, PharmD, BCOP, and colleagues, demonstrate that clinical pharmacists have an integral role in the review and approval of off-label oncology treatments. This pilot study demonstrated that pharmacists in an ambulatory oncology clinic are able to deliver successful tobacco-cessation counseling and interventions for patients with cancer who smoke. The World Health Organization’s pain ladder for cancer recommends opioids for the treatment of moderate-to-severe pain in patients with cancer, and is a mainstay of cancer pain therapy.